Dear Gary, It is with great pleasure that I write you this thank you note for the wonderful experience my wife and I had in working with you and your company in purchasing and setting up our brand-new pool table. We had researched and visited several other billiard table stores looking for just the right pool table at the right price. Unfortunately all the other stores that we went to had prices that were way over budget. We were so fortunate to discover your store and visit your show room to see all the different pool tables that you had available had at significantly lower prices. 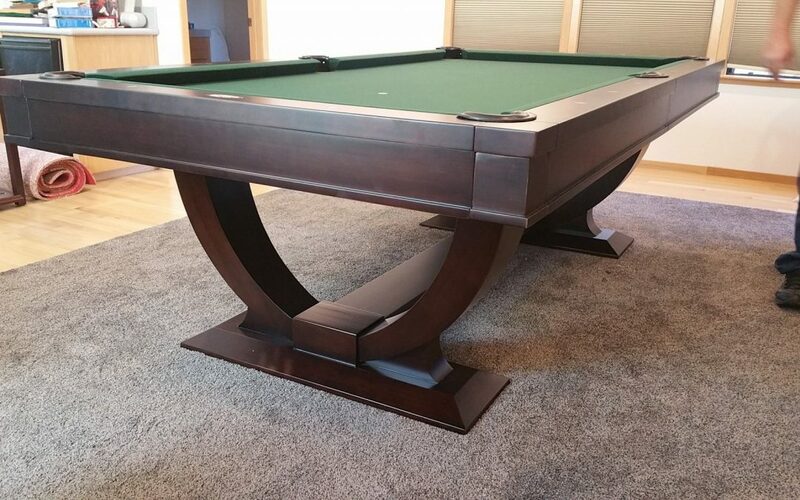 Our decision to purchase our pool table from you was based on your excellent service, patience, no pressure approach, and significantly lower prices. Then to our amazement, your company was able to deliver and set up our pool table the very next day! Then you checked back with us to make sure everything went well. We’ve been praising your awesome service, quality and low prices to all our family and friends ever since. Thanks again for everything!